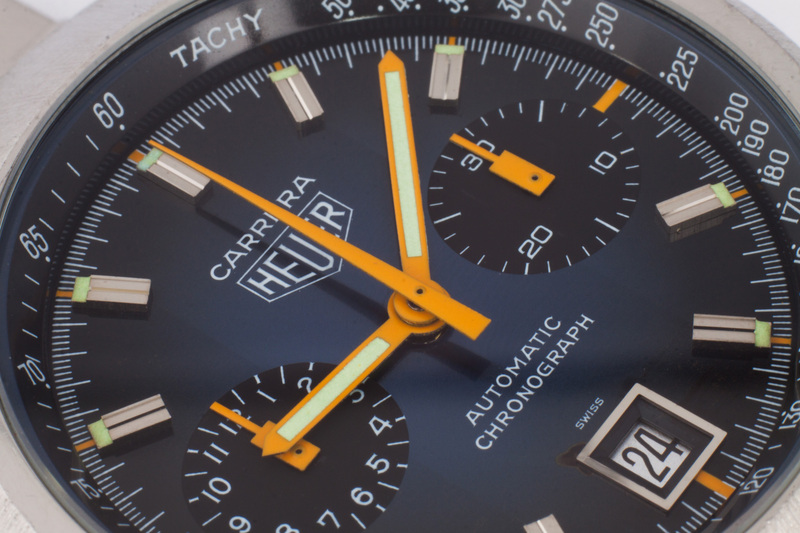 During the last 40 to 50 years a lot of different Heuer Carrera watches were produced with a wide variety of dials. 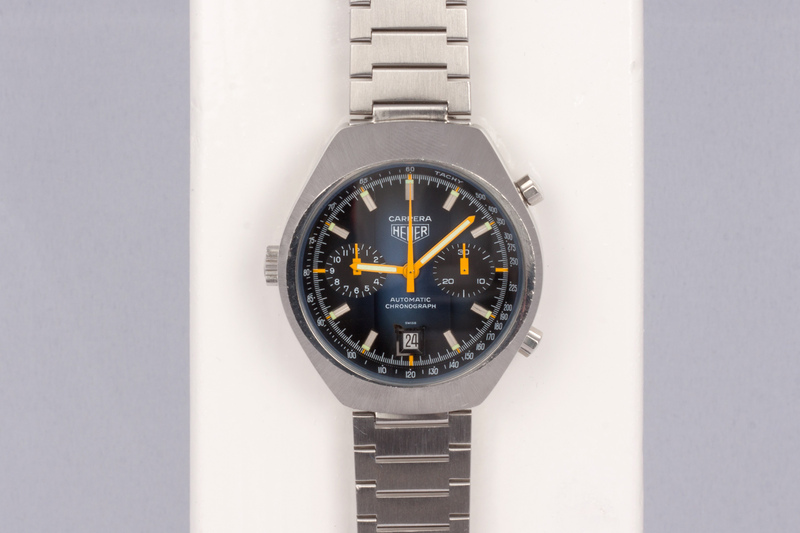 All Heuer dials are very high quality dials with perfect finishing and wonderful fonts. These dials were often produced by companies like Singer, whom also produced dials for Rolex and other Swiss watch brands. 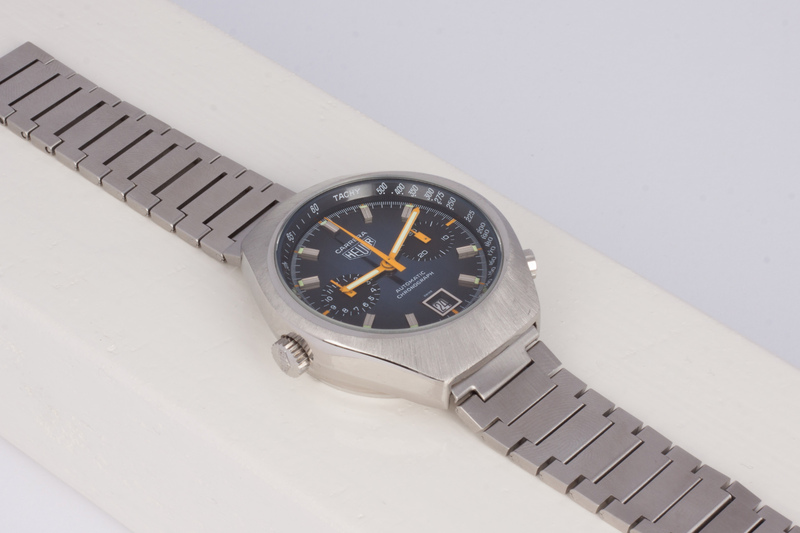 The Heuer Carrera we’re offering here has a wonderful so called Côtes de Genève dial, this name is derived from the Côtes de Genève decorated movements usually found with Swiss watch brands. The Côtes de Genève (CdG) dial is a great example of a high quality finished dial! The wonderful three ‘waves’ pattern that make up our Carrera’s CdG dial is designed in a way to reflect light differently as it moves across the dial. At times the dial appears just the single color blue, whilst at others the wave pattern is clearly visible. The dial also has a beautiful vignette effect, starting with a light blue color at the center and moving outwards to a dark navy blue. This vignette effect, in combination with the CdG waves and the bright orange hands makes this one hell of a Heuer chronograph! 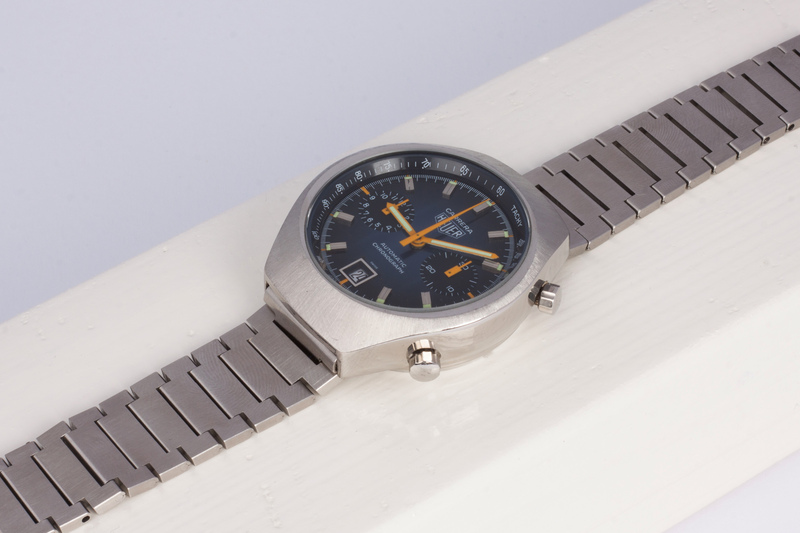 The ‘barrel’ shaped case of the Carrera is in a good condition, it does show some signs of wear but the sunbeam finish is still the original one as the watch spend the last 30 years or so in a desk drawer. 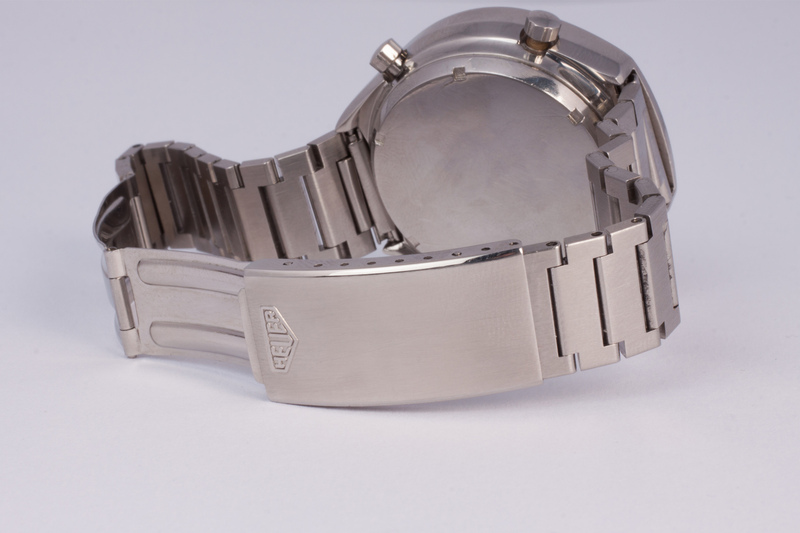 The same goes for the finish on the original Heuer flat link bracelet with folding clasp and Heuer logo. The Heuer is powered by the beautiful caliber 12 with it’s micro rotor. The movement has been fully serviced by our watchmakers but they didn’t touched the case or bracelet as these are still in the Original condition. 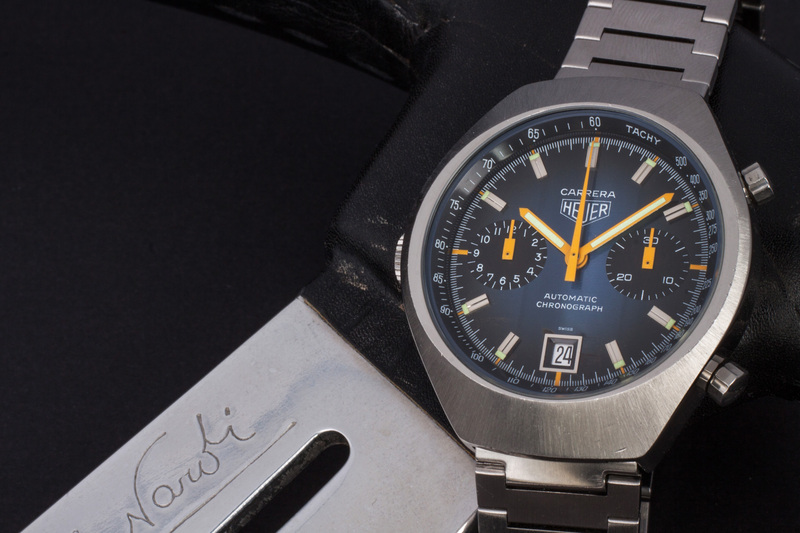 There’s a one year warranty on this near perfect and all original Heuer Carrera.